Darzalex (daratumumab) was approved by the FDA in November 2015. Image: courtesy of Janssen Biotech. Darzalex is available in 100mg / 5ml and 400mg / 20ml doses meant for intravenous administration. Image: courtesy of Janssen Biotech. The drug contains the first human anti-CD38 monoclonal antibody (mAb). Image: courtesy of Janssen Biotech. 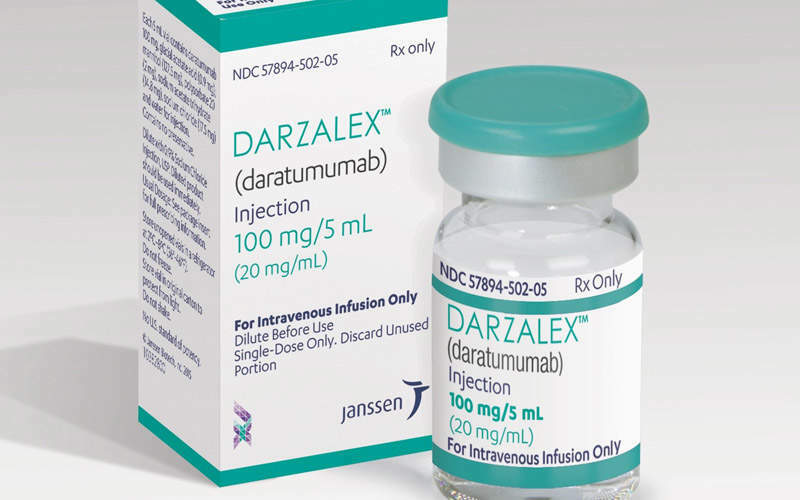 Darzalex (daratumumab) is the world’s first human anti-CD38 monoclonal antibody (mAb) approved for the treatment of patients with multiple myeloma. The drug was discovered by Genmab and developed by Janssen Biotech. 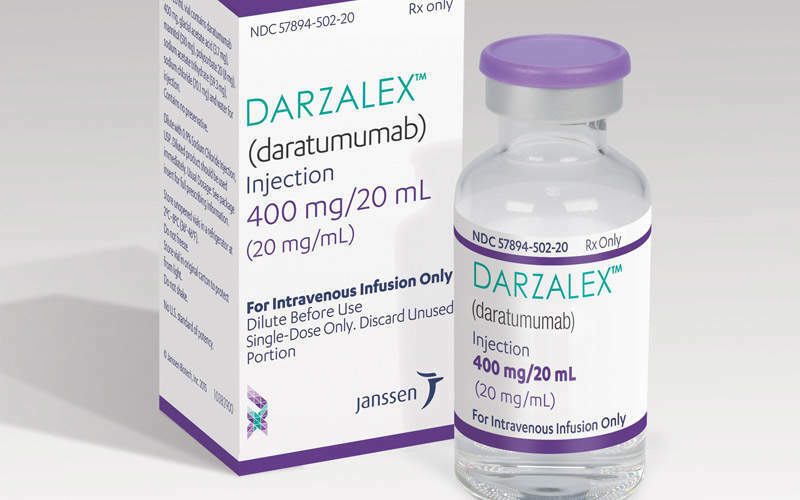 Janssen Biotech received approval for Darzalex from the US Food and Drug Administration (FDA) for the treatment of multiple myeloma in patients who received at least three prior lines of therapy, including a PI and an immunomodulatory agent, in November 2015. The drug was granted both fast track and breakthrough therapy designation by the FDA in May 2013. The new drug submission (NDS) for Darzalex as a treatment for patients with multiple myeloma was accepted for review by Health Canada in November 2015. Multiple myeloma is the third most deadly blood cancer in the US after leukaemia and lymphoma. It emanates in the bone marrow and is characterised by an excess proliferation of plasma cells. It was estimated that 124,225 people worldwide would be diagnosed with multiple myeloma and 87,084 would die from the disease in 2015. An estimated 26,850 patients were diagnosed with multiple myeloma, and 11,240 people died from the disease in the US in 2015. 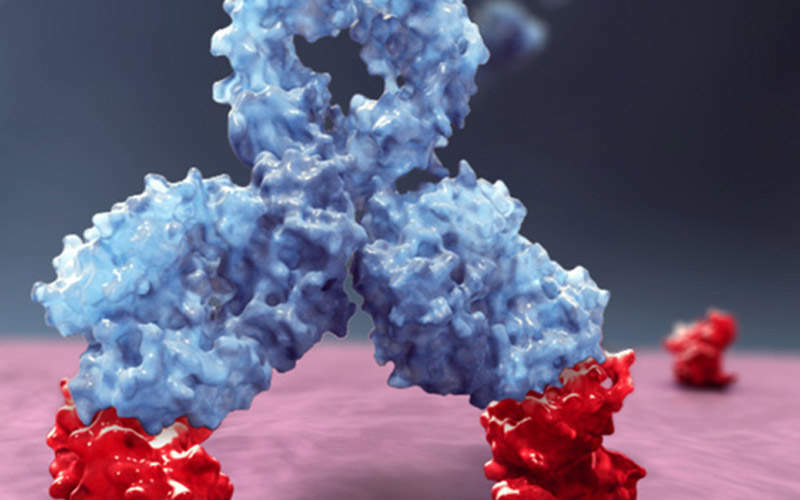 Darzalex contains a human anti-CD38 monoclonal antibody (mAb). The precise mechanism of action of the drug is not known completely, but it is assumed the drug induces tumour cell death through multiple immune-mediated methods. The drug is available in 100mg / 5ml and 400mg / 20ml doses for intravenous infusion. FDA approval for Darzalex was based on a pivotal Phase II open-label clinical trial known as the MMY2002 SIRIUS study. Study results demonstrated that patients treated with single-agent Darzalex showed an overall response rate (ORR) of 29.2% in patients who received a median of five prior lines of therapy, including a PI and an IMiD before. It also showed that a stringent complete response (sCR) was reported in 2.8% of patients, very good partial response (VGPR) was reported in 9.4% of patients, and partial response (PR) was reported in 17% of patients treated with Darzalex. The median duration of the response was 7.4 months. 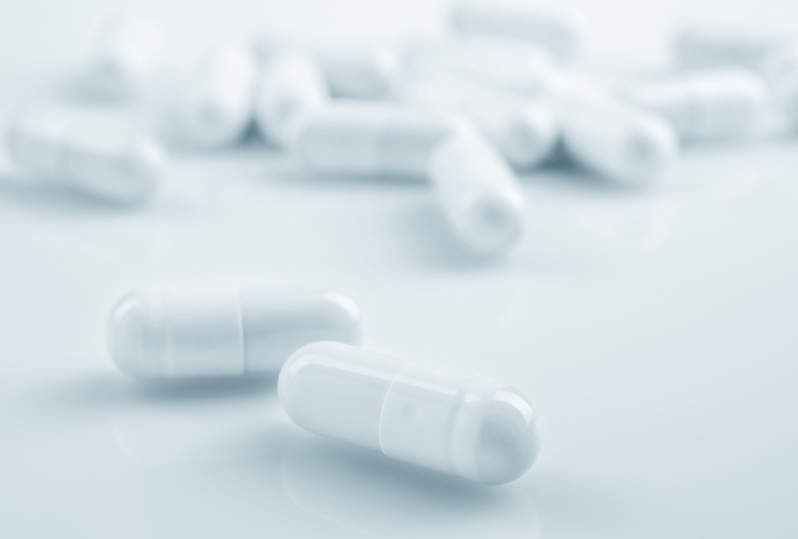 The cohort expansion phase of the open-label, international, multi-centre, dose Phase I / II clinical trials known as GEN503 study was conducted on 32 patients who received a median of two prior lines of therapy. The two-part GEN503 study included a dose escalation study in the first part and a cohort expansion study in the second part. In the first part of the GEN503 study, patients were administered with Darzalex in combination with lenalidomide 25mg on day one through to day 21 of every 28-day cycle, and dexamethasone 40mg one weekly. In the second part of the study, all patients were administered with Darzalex 16mg / kg dose. Patients refractory to lenalidomide were excluded, and those with at least one prior line of therapy were included. Study results demonstrated that treatment with Darzalex in combination with lenalidomide and dexamethasone resulted in an ORR of 81% in relapsed or refractory multiple myeloma patients who received a median of two prior therapies. It also showed an overall survival (OS) rate of 90%, with 72% of patients experiencing progression-free survival (PFS) after 18 months of treatment. The sCR was reported in 25% of patients, CR was reported in 9% of patients, VGPR was reported in 28% of patients and PR was reported in 19% of patients treated with Darzalex and combination drugs. Median times to first and best response were one month and 5.1 months respectively. The most common adverse events found during the clinical study in patients treated with Darzalex in combination with lenalidomide and dexamethason included neutropenia, cough, muscle spasms and diarrhoea. Janssen is the global sponsor of all clinical studies conducted on Darzalex except one Phase I / II GEN501 monotherapy study, which was conducted by Genmab. "FDA approval for Darzalex was based on a pivotal Phase II open-label clinical trial known as the MMY2002 SIRIUS study." Janssen is currently conducting five Phase III clinical studies on Darzalex in relapsed and frontline settings. The company also plans to imitate additional studies to assess Darzalex as a potential treatment in other malignant and pre-malignant diseases, including smoldering myeloma and non-Hodgkin’s lymphoma. Genmab granted Janssen Biotech a worldwide license to develop, manufacture and market Darzalex in August 2012. Darzalex will be launched in the US by Janssen Biotech. Janssen will make a milestone payment of $45m to Genmab after the first commercial sale of the product in the US. Other drugs available in the market for the treatment of the same indication include Empliciti (elotuzumab) developed by Bristol-Myers Squibb (BMS) and AbbVie, Ninlaro (ixazomib) developed by Takeda Pharmaceuticals, and Farydak (panobinostat) manufactured by Novartis and Biologics.